Soooooo, you ever hear the one about the software tester who walked into a bar? She ordered a beer. She ordered 10 beers. She ordered 2.15 million beers. She ordered -1 beers. She ordered a nothing. She ordered a cat. She tried to leave without paying. I’m sorry if you don’t get that one but it’s a nerd classic. Here’s another one. Any program that actually runs right, is now obsolete. A user will find any interface design intuitive…with enough practice. I kid software. I have a sense of humor about it because generally I have a sense of humor about almost everything. Nothing good comes from getting mad at the software you use. It’s only doing what a human told it to. Perhaps knowing it’s only following commands will now only leave you more exasperated when it doesn’t perform as you think it should. Wait, that’s the important caveat. “perform as you think it should”. Remember that, as we’ll get back to it later. There’s one thing in this industry that even the REIT’s, the small Mom and Pop shops, the Middle Sized, the ones whose units counts change when the CEO sneezes, have in common – renting apartments. The compelling part is how differently we accomplish this task. Same goes for our software. There are at least 6 different major Property Management System flavors you can choose from. They all do things differently. They all were created in different decades with different technology. They are all run by different people with different agendas. Because we can’t agree on the same way to rent apartments, there is no PM system that will match us perfectly. Unless, you have something very important. It all started back in 2002, when I learned what we had to go through to create our Vacancy report. On Monday mornings, the Marketing assistant would print out a gargantuan amount of reports, fire up Excel, sort through these reports, use crayons, highlighters, coffee, then she added and subtracted where necessary, and compiled everything into a readable, usable report. This process took most of the day. By the next morning, it was outdated. Our PM system didn’t have a report that compiled it according to our President’s vision and so most had accepted that this manual labor was the only way. As a Champion of All Things Nerdy, I knew there had to be a better solution. 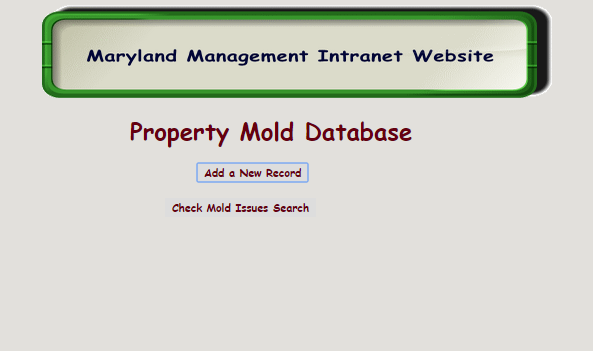 One day, when I was feeling particularly chatty with our property management system’s technical support staff, I made a reference to being able to pull our data as we needed. This has to be the ugliest thing I’ve ever seen. It’s like your first car: It got you from Point A to Point B but you weren’t going to take your date to the Drive-In Movies with it. Within a week, Tim got me live database access and I was downloading data tables from their system into Microsoft Access and trying to figure out how their system worked. I made crappy reports and terrible web user interfaces but I learned. I upgraded to MS SQL, learned new programming languages, broke things, created DTS Packages, upgraded them to SSIS, designed, created, learned, and over the years, got total Owner buy in. Our vacancy report matches the Owner’s vision. We have a system that creates rents based on how he thinks they should be. Our Marketing availability chart can be adjusted on the fly based on Agent’s, Marketing’s, and Ownership’s needs. Our maintenance program matches how we want it to work. Someone comes up with a good idea for our systems that we should implement? I do it. A few years ago, I came home bragging to my wife about how awesome I was. You see this as disgusting filth, I look at it as a means of keeping that ego in check. “I’m surprised you could get your big head through the door. 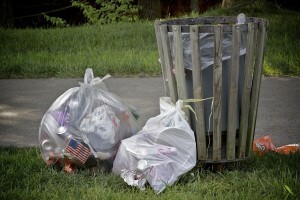 Can you take out the trash, please? It’s overflowing.” Still buzzing from my own ego stroking, I lifted the bag out of the can and the bag clipped the corner. The bottom of it ripped open and trash spilled out and onto the kitchen floor. 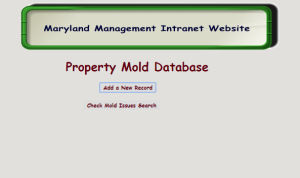 It’s easy for me to crack jokes about how the user interface for our Property Management system looks like Bill Gates’s cat vomited it up in the 90’s. But the fact is, we have full access to our live data any time we need it. No access fees. Our Property Management system isn’t in the cloud but in our server room in my office. While I can certainly understand why people choose to move their system to the cloud (simplified IT, no backups), you lose control of two vital things: access to your live data and control. Data. It is the backbone of our businesses. Resident information, emails, phone numbers, vacancies, expiration dates, move-in dates, budgets, GL’s – all for the using – remember, it’s ours! There is such power in using your data how you want. I’m certainly not expecting you to do some of the nerdy business that I’ve done. Start small. Extract some data to create a Mailchimp resident newsletter campaign. Extract some move out data to massage it in Excel and find out the times of year when people leave. The bottom line is, learn how to view it how you want to. Your data is the engine and the property management system is simply the body. Create the body how you will to view it how you want. You can even start with adding native unit availabilities and pricing to your website like I outlined here. We’re working on that now and I’ll show you when we’re done early next year. Knowledge is power. The one who controls that power is the better company for it. Blog also posted in Apartment List’s blog for 1/29/2015.